This is a guest article from Andy Kaufman, PMP. I work with project managers around the world, and increasingly there’s one success trait that I find could use a tune-up. In a word, it’s assertiveness. Some of this is unquestionably cultural. Part of the problem could be perception. Some people view assertiveness at work as aggression, and that can hold them back. For many of us, we live with the mindset stepping out is risky, and since we have rent or mortgage payments to make, we play it safe. Edit ourselves down. Conform. Regardless of the reason, sometimes, we, as project managers, take an overly passive posture, and that can be holding you and your projects back. Sarah Robb-O’Hagan wrote a book entitled Extreme You. She shares important lessons to help us all dial up our assertiveness. 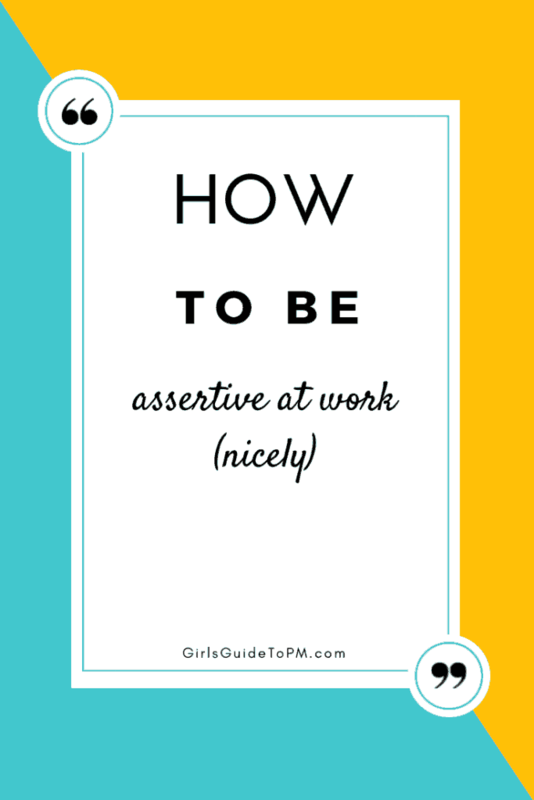 Here are 3 of her points on the theme of how to be more assertive at work. Check yourself out. That’s Sarah’s phrase for trying new things. Lots of things. It’s easy to fall into a rut, with our approaches, our skill sets, and our thinking. I’ve had too many coaching clients who aspired to make a living more closely aligned to their passions, but they get caught in the trap of a job they hate but seemingly can’t leave because the compensation is too good. How about this? Don’t leave your job – just try some new things. On the side. Years ago, I started speaking at some technology conferences – just one or two a year. It scared the daylights out of me. But now I do it for a living! You may find latent skills or opportunities that were left dormant until you woke them up. And, as Dr John Medina told me in an interview about his latest Brain Rules book, trying new things is one of the best strategies to keep your brain sharp over the years. Listen to what others are saying (and not saying). It could very well be that you’ve been receiving feedback – spoken or not – that you’re too passive. Too quiet. Not taking the initiative. Sarah suggests you watch for what you’ve been avoiding. This can be a good indication of an area you must work on. Look for patterns of feedback. She suggests that you watch for when you are the punchline! If people are joking about some aspect of your behaviour (for example, “Hey, look! Andy’s late for the meeting again! What a surprise!”), it might be a sign. When you’re in a meeting and find yourself thinking, “Why is everyone around here just sitting and waiting for someone else to bring up the issue?” it could be a sign that it’s you that should be speaking up. 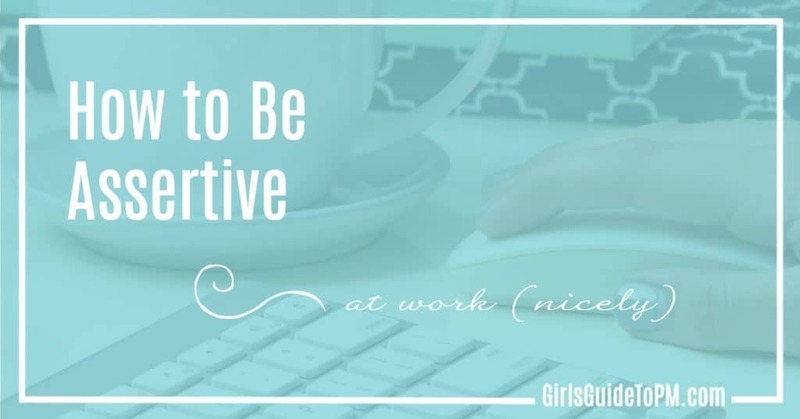 Being more assertive with colleagues doesn’t mean you must be the person who’s always talking. But being quiet is easily misread. Eric Barker told me in our interview about his book Barking Up The Wrong Tree, that one proxy people use to determine if someone is a leader is this: how often do they speak up in a meeting? I’d suggest that’s a weak measure, but Barker shows research to back it up. Maybe it’s time to speak up a bit more, perhaps even by asking more questions. Harvard’s Teresa Amabile published a study called “Brilliant But Cruel.” Her research found that if someone is too nice, we assume they must be less competent. Men low in the personality trait agreeableness make as much as USD 10,000 a year more than men high in agreeableness. Somehow rude people have better credit scores. I don’t get it. I don’t even want to believe it. And I certainly don’t want to suggest that you become a jerk by taking the advice of this post. But here’s one last example. I had a coaching client who told me he wanted to be promoted from a Director level to a Vice President in the next nine months. If he didn’t receive the promotion, he would leave his company. Rarely have I found someone so focused on a title, but that was where he drew the line. We came up with a plan which included making his desires clear to his boss. He didn’t make “the ask” out of a spirit of entitlement – he clarified he would do whatever it took. Nine months later we celebrated his promotion. It wasn’t brilliant coaching that got him the VP title – it was a matter of being assertive with his desires and doing the demanding work to earn it. Here’s what I wish for you. Dial up your assertiveness, even if just a little. Speak up a little more often. Lean in a little more to the opportunities before you. Try some new things you may have checked out on. Let me know how it goes. You can contact me at andy [at ] PeopleAndProjectsPodcast.com. 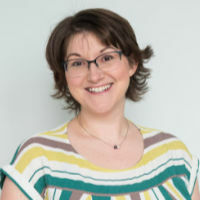 Thanks to Bob Sutton for the reference to Amabile’s work: Teresa Amabile, “Brilliant but Cruel: Perception of Negative Evaluators,” Journal of Experimental Social Psychology, 19 (1983), 146-156. 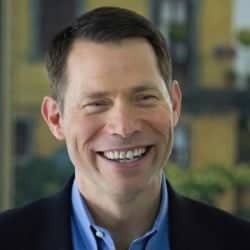 About the author: Andy Kaufman, PMP, is an international speaker, author, and executive coach. Andy works with organisations around the world, helping them improve their ability to deliver projects and lead teams. He brings a rich background of over 25 years of experience in executive management, technology, team leadership, project management, consulting, and coaching. Andy is a certified trainer and author of Navigating the Winds of Change: Staying on Course in Business & in Life, Shining the Light on The Secret, and an ebook entitled How to Organize Your Inbox & Get Rid of E-Mail Clutter, all published by Zurich Press. Andy is the publisher of the Horizon Time newsletter which is read by thousands of professionals around the world. He is also the host of The People and Projects Podcast which provides interviews and insights to help listeners lead people and deliver projects. The podcast focuses on the intersection of People and Projects, where work gets done in the real world. Find more insights from Andy (and 30 other project management experts) in my ebook, How to Make This Year Successful for Your Projects. Pop your email address in the box below and I’ll send it to you! Watch your email for the link to the ebook! Success! Now check your email to get your ebook. Filed Under: Build a Career, How To Tagged With: This article contains affiliate links. I love this article – thank you for sharing such fantastic tips! 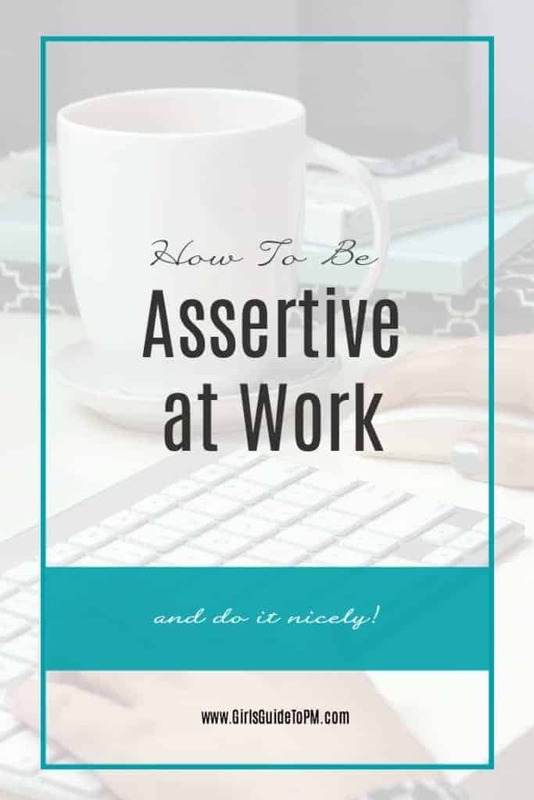 It is SO hard to feel comfortable speaking up and working on becoming more assertive, but it is essential for anyone in any role to work on. Thank you again for sharing these awesome tips!